When I hear people use the phrase ‘emergency food parcels’ it conjures up images in my head of a a war torn country or perhaps a place where a huge scale disaster has hit. I think of a place which has no infrastructure to deal with the problem at hand. I do not think of the United Kingdom and I certainly do not think of a hardworking nurse needing to use an emergency food parcel. Yet surprisingly and shockingly it is what is happening. Right now. All around us. 1 million emergency food parcels were given out to families in the UK in 2016 according to the Trussell Trust. I don’t know about you but before 2013 I had never heard of the term ‘foodbank’. But now it is a term that is quite commonplace. What does it say about us as a society when people, both working and unemployed must go cap in hand to collect an emergency food parcel? 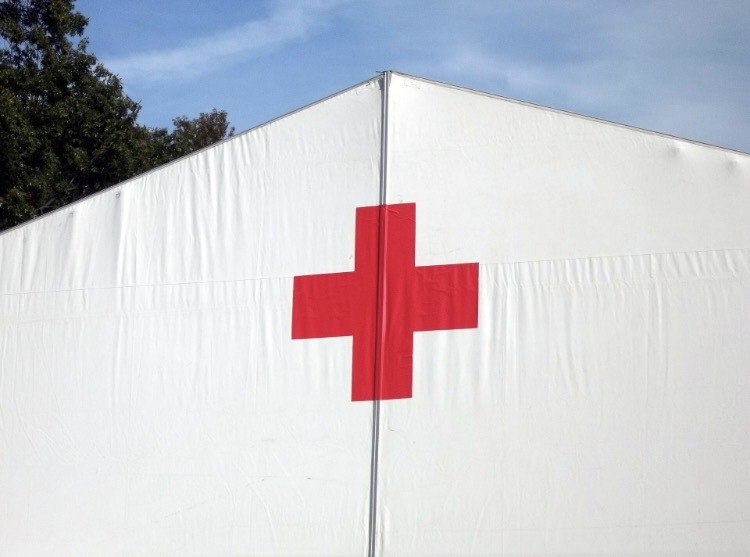 Recently the Red Cross was called in to support the NHS in what they called a ‘humanitarian crisis’. I found this difficult to believe until I recently had the misfortune of having to visit my local A and E department. There was a 7 hour wait and when I heard the staff call out via tannoy message “We are in crisis tonight please go home unless your injury is life threatening”. I could not believe my ears. 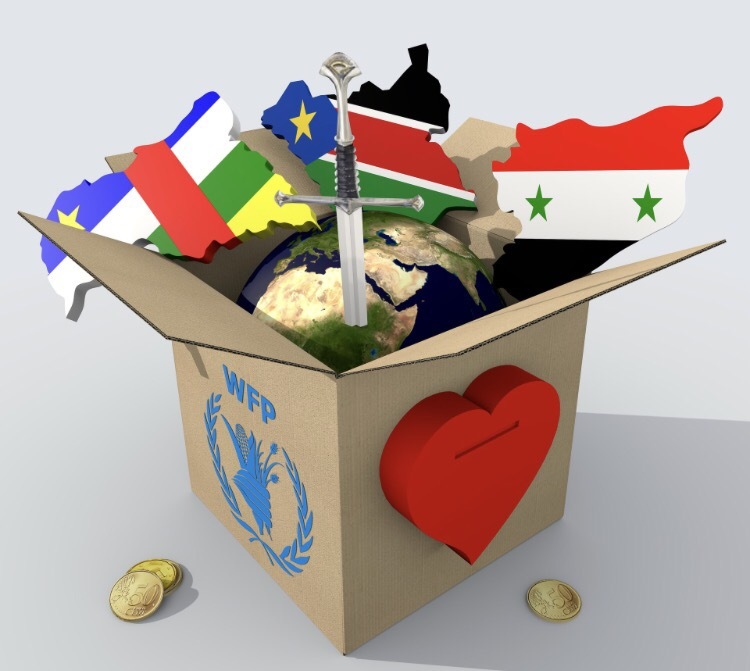 As a nation, we used to send emergency food parcels to countries that didn’t have an infrastructure to support its most vulnerable in times of war, drought or disaster. In churches, schools and local supermarkets we used to do collections for them and I remember feeling fortunate that I lived in a society that, I believed, would never experience such poverty. But all I see is now is collections for food banks and local communities. What went so drastically wrong? We aren’t war torn, there has been no catastrophic event and there have been no natural disasters. So where is the mainstream media outcry? There isn’t any. It has been normalised and we have become anaesthetised to it. In fact, the Conservative Party and the Mainstream Media would have us believe that our economy is doing just fine. That unemployment levels are at their lowest since 1972, according to the Office of National Statistics. And that nothing has changed. And quite startlingly so. The decline has been rapid. To my mind there has been one catalyst, that has set off a chain of very unfortunate events that has led us to the situation we are in today and that was when the Conservatives entered government in 2010. They did not arrive in a ‘landslide’ fashion. There was no overwhelming support for them. They slithered quietly into power on the back of a hung parliament and had to form an alliance with the Lib Dems just to form a legitimate government. Yet the chain of events that they have set in place with crippling austerity, targeting the vulnerable, and the disabled has been so severe that the UN launched an investigation into it. Yes we, the United Kingdom were not only investigated by the UN but our austerity policies were found to be in breach of international human rights laws. Shameful, abhorrent, cruel. But again, where is the media outcry? We now hear terms like ‘the working poor’ being used. A term I have not heard in my 38 years of life but that is now a widely understood term in our society. And now according to a leading Professor (as quoted in the Evening Standard) life expectancy improvements have now started to slow down since the dreaded year of 2010. The rise of homelessness has doubled from 2010 and that rise is not slowing down. The number of rough sleepers has sharply increased from just under 2000 in 2010 (when Conservatives came into power) to 4,136 this year. If the Conservative Party could be compared to a natural disaster, I would say the one that resembles them the most is a tsunami. They have hit us with wave after wave of bad decisions. And it feels like it is impossible to come up for air. Just when good old Corbyn forced a U turn on child tax credit cuts, or when the plan for all school to be academies was overturned, every victory has been minimised by the mainstream media while at the same time we are hit in the the face with some other nasty Tory policy proposal. And that is how it has gone on. With each fight against some awful decision; some awful cut they try to impose, they simultaneously hit us with another. How can you come up with air when the waves of cruelty keep coming? I feel like we are living in our very own disaster movie. You know the one where all the experts like the meteorologists warn of impending doom but no one listens until it is too late. I feel that’s where we have been with this Conservative government. In our case we had the economic experts warning us about Brexit. We had the small independent newspapers telling us how austerity would cause poverty. But then you had politicians like Gove putting down the experts with his famous quote last year when he said, “The people of this country are sick of experts”. No one listened and now look. Most disaster movies have a happy ending. So what do we do? Do we sit and wait for the happy ending to just arrive itself? I certainly won’t wait. I will keep writing, blogging, petitioning and campaigning until everyone gets the message. And I urge you all to do the same. The Conservatives don’t care about you or I (unless you are a millionaire). They never have and they never will . So if we want our happy ending we need to fight for it in any way, possible. And soon! Two weeks ago I had a mastectomy. I went into St Thomas Hospital where surgeons removed my (currently) healthy (and frankly beautiful) breasts and reconstructed new ones using tissue from my stomach in what is known as diep flap reconstruction. The reason I chose to do this is I have a defective brca 1 gene. This gene is usually a tumour suppressor, but it’s faulty status in my body gives me an 80% chance of developing breast cancer. Since I told people about my decision to proceed with the operation, thus reducing my cancer chances I’ve had a lot of people tell me I’ve made a brave or heroic decision. Of course, that is not true, I was in the fortunate position to be able to take control of my own health and future. There is a hero in my story of course, in fact there are several: the NHS and their staff. How could I have taken a decision like this without the NHS? From the moment I saw a genetic counsellor at Guy’s Hospital who talked me through the decision to take the diagnostic test to the nurses I saw at the Wound Clinic today I have been treated as an individual with individual needs and have been dealt with by highly trained individuals too numerous to mention, but that include surgeons from two highly trained teams (breast and plastics), anaesthetists, researchers, specialist nurses, physios and other great professionals like porters and health care assistants as well as volunteers supplying services such as the patient cinema at St Thomas’ and helping in the waiting room at clinics. In all of this, despite the nature of the decision I made and the operation meaning I spent a lot of time undressed I never felt I was losing my dignity. I was helped to shower, comforted as I vomited, helped into bed and had my complicated wounds checked every single hour. The empathy of the nursing and other staff left me feeling good about myself. I also never had to make any decision in which cost had any bearing at all. Money was simply never mentioned at any stage. Compare this to the situation I could have faced were I an American citizen where my decisions would be governed by the level of insurance I had. Where I may be tied to my job because of the insurance package it gave were the procedure to go wrong at any point and revisions needed. Where I might find parts of my treatment were covered and others not and where the threat of reduction in Obama Care might have forced my to make decisions early. Now ironically my hospital room overlooked the Houses of Parliament and I happened to be recovering when the Labour Party amendment to give public sector workers a modest pay increase was voted down by the tories to cheers and cackles. Austerity has left public sector staff getting progressively poorer year on year. At the same time the tories have continued to cut tax for top earners. The number of billionaires in the country has actually risen, this is in a context where the nursing bursary (a recognition of the work students nurses provide on wards up and down the country and the hours they study making it difficult for them to support themselves) has been scrapped. Rather than scrapping it there is a credible argument student nurses should be paid the minimum (sorry, living) wage for the hours they spend working for the NHS. Indeed I was cared for by several students nurses during my stay in hospital. Looking after sick people is no easy task and they all did brilliantly. It’s an absurd thought that they are reliant on loans and overdrafts to allow them to carry out this work and that after a 12 hours shift in the hospital some will have been off to other jobs just to pay their rent. The nursing courses are tough, and that is right as it is hard work, physically, emotionally and academically. Why on earth would we make it hard to survive financially too? Then there is the treatment of other hospital staff. For example last week porters, security staff and domestics at Barts Health NHS Trust who are actually employed by Serco (but paid for by taxpayers of course) decided on strike action. They are asking for a 30p per hour pay increase. Serco made profits of £82 million last year. This country is the 6th richest on earth. Why are we happy to treat our health care workers with such disdain? I owe the NHS staff a huge debt of gratitude, as do many others. I am ashamed that this country is not prepared to reward them with recent pay and conditions and I fear in the future many people, in my position will simple to enjoy the excellent treatment I did.